The Bachelor and The Bachelorette have long been guilty pleasure shows of mine. For a while, I had actually stopped watching them, just as I had with all other reality TV shows (I’m looking at you Survivor and Big Brother). 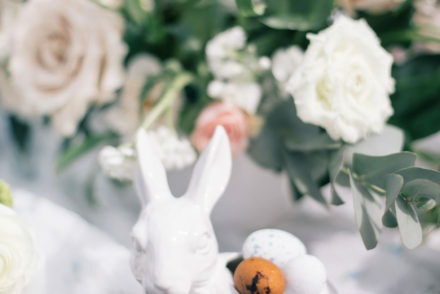 However, a couple of seasons ago, my sister and I stumbled on a mid-season episode of the Bachelor while browsing for something to watch on TV and we were immediately re-hooked. Most recently, The Bachelor has brought its franchise to Canada and now in its second season, I couldn’t be more obsessed (it might also have to do with the fact that I know Mikaela from this season and am cheering her on like crazy). 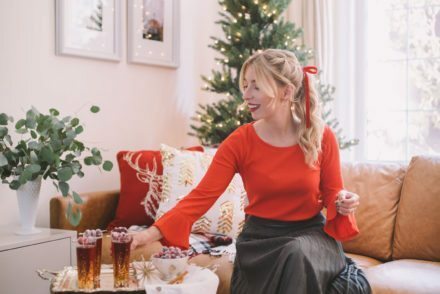 I’ve been watching The Bachelor Canada since it started 4 weeks ago and with the fourth episode airing tonight, I have put together a little DIY Bachelor Canada Viewing party with the Help of Two Oceans Wine. 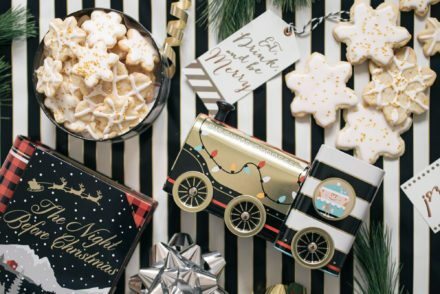 I love that you can use as many or as little of these ideas as you want to and that they’re all so simple to put together. I’ve also included a printable for a “will you accept this rose” print and Bachelor Canada prediction cards that make hosting a viewing party super simple. Now, let’s grab a glass of Two Oceans and enjoy the show! 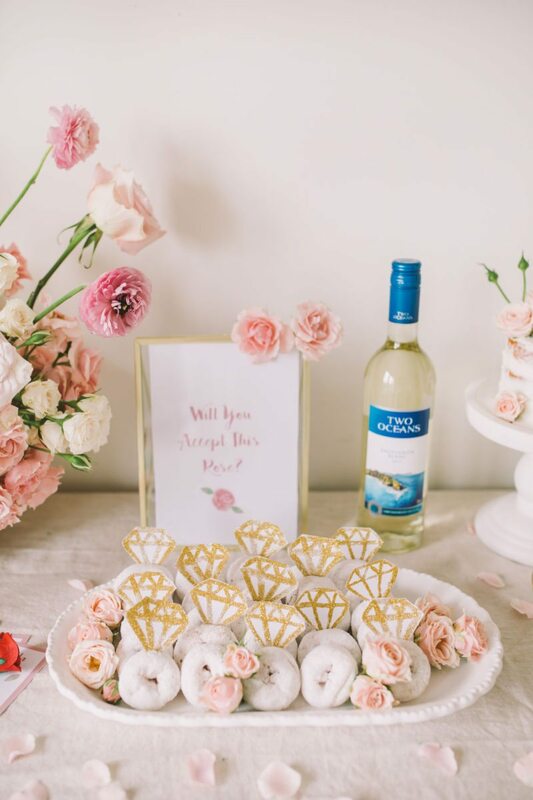 Engagement Ring Donuts: I am in love with these engagement ring mini donuts. I’ve seen these on Pinterest and figured that they’d be pretty simple to make myself with the help of this downloadable diamond template I found on Etsy. I simply printed the diamond template out and used a thin brush dipped in craft glue to trace the lines of the diamond. I then sprinkled gold glitter over the top and voilà! After I cut out the diamonds I scored a small hole in the top of half of them and placed the diamond inside the donut to create the cutest donut engagement rings. 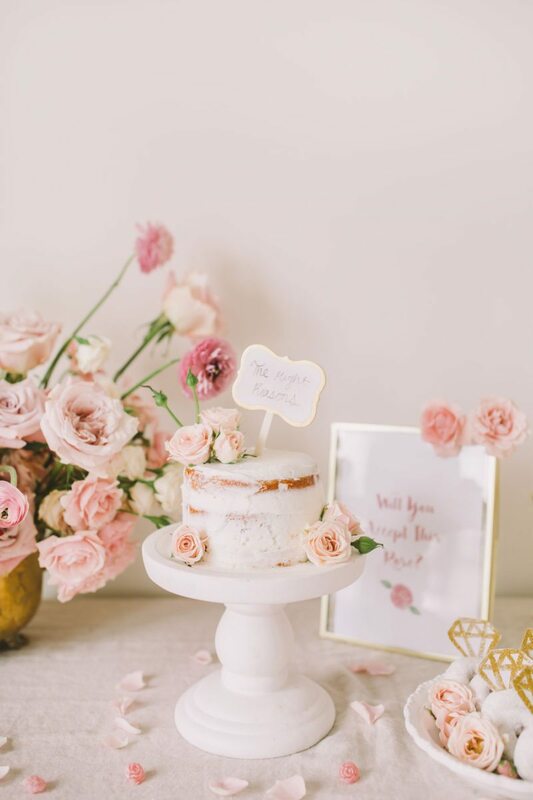 The Right Reasons Naked Cake: I used my favourite trick in the book to create this adorable naked cake! I simply purchased an iced store-bought cake for around $10, took it home and “de-iced” it by carefully working a metal dough scraper around the cake. 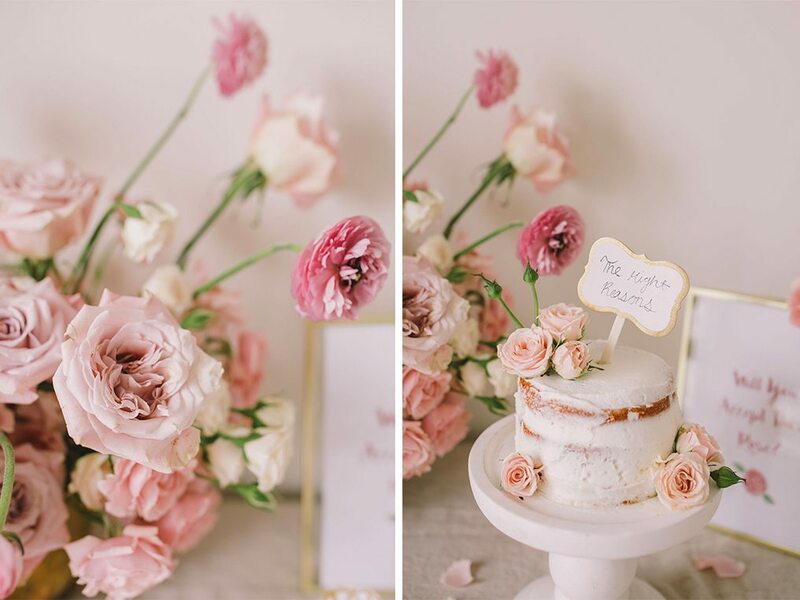 I finished by topping the cake with a couple of spray roses and a sign that I wrote: “the right reasons” because as we all know, the women on the bachelor Canada are all in it for “the right reasons” (they’re Canadian after all!). 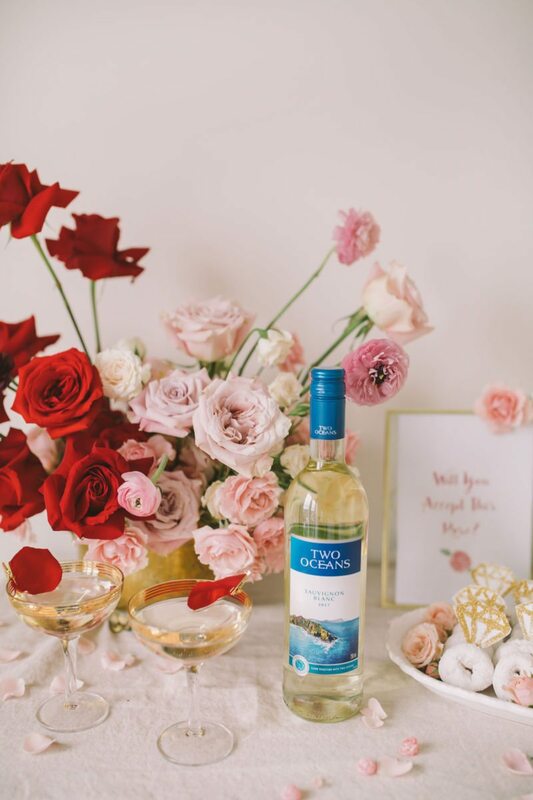 Two Oceans Wine + Rose Petal Garnishes: Wine is a must at your Bachelor Canada viewing party and if you haven’t noticed by now, they’re all drinking Two Oceans! I love the Two Oceans Sauvignon Blanc because it is light, crisp and oh’ so refreshing. With notes of pink grapefruit and fresh lemon, it’s an easy drinking wine that everyone at your viewing party is sure to enjoy. To add a little oomph to my wine serving style, I brought out my gold-rimmed coupé glasses and garnished them with a single rose petal and a mini gold paper clip. 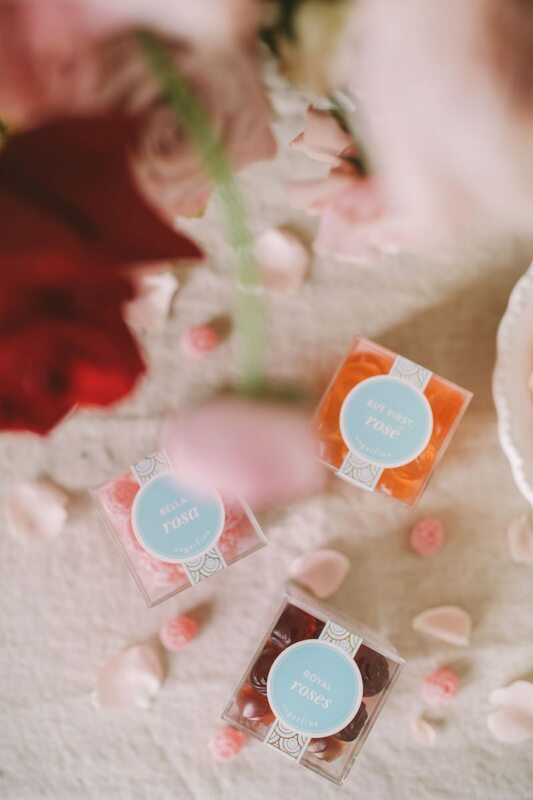 Rose Themed Candy Takeaway: This is an optional idea, but assuming that your viewing party is small, I’d suggest offering each guest a takeaway of rose candy and of course a single long stem rose to thank them for coming to your party. 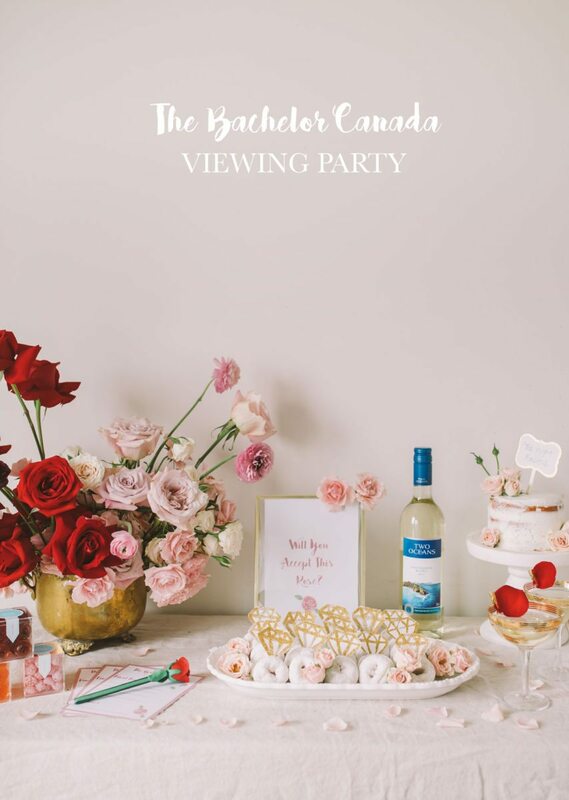 Will You Accept This Rose Sign: Adding a sign to your Bachelor Canada viewing party couldn’t be easier than printing out this download and adding it to a frame you already own. 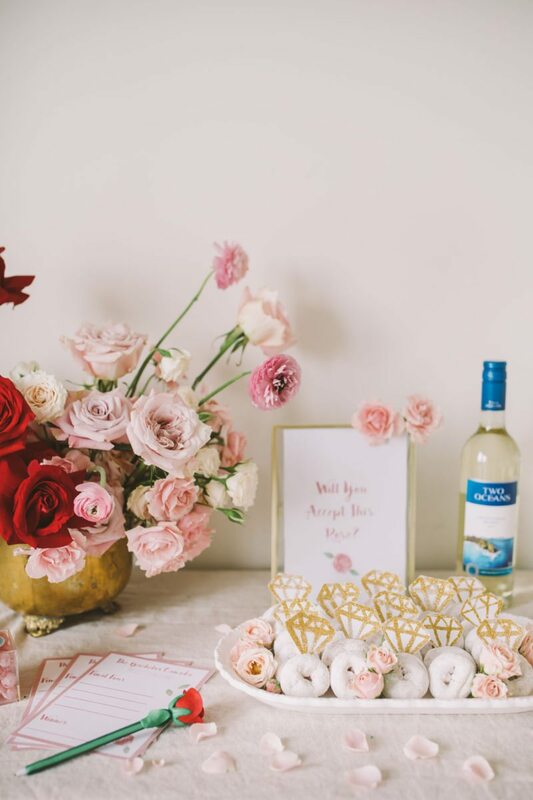 Rose on Rose on Rose Floral Bouquet: If you are planning on throwing a large Bachelor Canada viewing party than I think that the best route to go is to have a florist create a Bachelor Canada themed arrangement for the occasion. 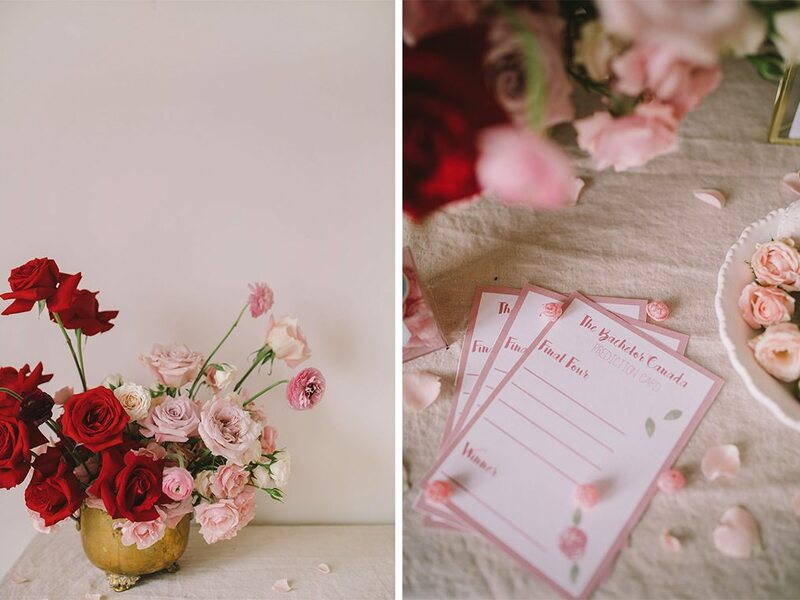 I reached out to my girls at Blush and Bloom and they created the most incredible one of a kind rose themed arrangement. I was honestly so blown away by the creativity used in this arrangement. There were so many varieties of roses and a few gorgeous ranunculus. You guys, obsessed isn’t even the word! If you’re having a smaller viewing party then I’d suggest simply purchasing a few red roses, trimming them short and adding them into a decorative vase. The Bachelor Canada Prediction Cards: I think that it would be so much fun to give each of your guests a prediction card at the beginning of the show (download here). If you have friends over weekly for a viewing party, have them make their predictions on the first night and then keep checking in each episode to see who’s doing the best prediction wise. If you’re wondering, I think the final four will be Mikaela (They both seem so genuinely in to each other both mentally and physically. I also like how playful they are together! ), Lyndsey (she’s the youngest but if Chris can get over that then I think they have a really good shot at love), Catie (while she is a bit reserved, I can see a spark forming that I think will only grow stronger in the following weeks), and Kait (after their 1 on 1 date last week I fell in love with Kait’s easy going, playful personality and I think Chris did too!). PS: Be sure to watch The Bachelor Canada tonight at 9 E/P, I’ll be Insta-storying the episode!